If you are concern about changes to your abdomen and like to improve the loose skin and fat (pannus), stretch marks, and weakness of abdominal muscle after pregnancy or excessive weight gain, abdominoplasty may be an option for you Abdominoplasty surgery is not a treatment for those who are overweight. Obese individuals who intend to lose weight should postpone all forms of body-contouring surgery until a stable weight is reached. What are the risks and possible complications of this surgery? There are general and local complications from the procedure. The general complication includes anesthesia risks, respiratory and airway risks such as pneumonia, aspiration, blood clots and pulmonary embolus. The local risks include infection, skin necrosis, scarring. Specific risks include change in skin sensation, skin contour irregularities, umbilicus mal-positioning or scarring, and pubic distortion. Each one of the following will be described. 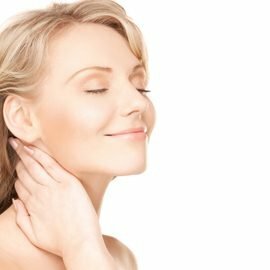 What are my non-surgical options? Weight loss, exercise and some non-invasive procedure such as RF, ultrasound and freezing device. None of these devices can give the procedure result comparable to the abdominoplasty procedure. Liposuction and abdominoplasty are other similar procedures and will give different results. What surgical technique will you use? My usual procedure is a combination of liposuction tissue at the lateral portion of the abdominal incision and the epigastric region. The excessive abdominal pannus (fat) is then removed and the abdominal wall muscle is then tightened. The abdominal wall is then closed. How extensive will this surgery be? Surgery involves the lower anterior and lateral abdominal wall as possibly the deep abdominal wall muscle (rectus muscle). This usually involves the right to the left anterior superior iliac spine over the pubic region. You can see the surgical result the morning after the surgery. The final result usually takes 6 weeks to 6 months after surgery. You can see pre and post-operative result in our office. The surgery usually takes 2 to 3 hours. 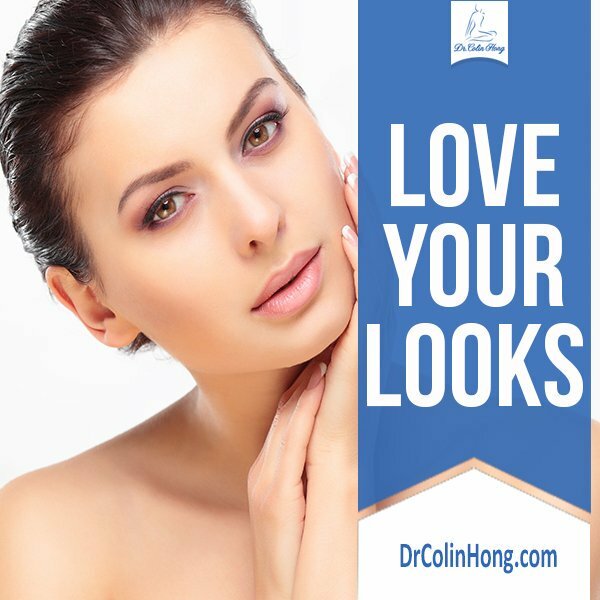 Is it possible to also have liposuction done during this surgery? Liposuction is usually done together with the surgical excision of the abdominal wall. Should I have this surgery if I am planning on having children in the future? Abdominoplasty should be done after one completes their family. If you got pregnant after the procedure, the procedure can be repeated again. 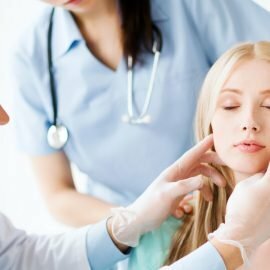 What can I expect after my surgery? Will I have bandages on my abdomen after this surgery? Yes, you will have bandages around the incision site. How long will any swelling, tenderness or discomfort last? One usually fines the postoperative pain uncomfortable for the first two to three days after surgery. After the initial two to three days, the discomfort is usually very tolerable. What will my belly area feel like after surgery in the short and long-term? In general, you should have less fatty tissue, skin and tighter abdominal wall and muscle. You will receive injected pain medication into your abdominal wall during surgery and the evening of your surgery, you will be very comfortable. I usually prescribe Tylenol 3 and Percocet for a few days to a few weeks after surgery depending on your pain tolerance. Because of the technique that I use to close the abdomen, drains and tubes are usually not necessary unless it is of extraordinary situation. Will I need any special equipment to help support my belly after this surgery? I usually recommend using an abdominal binder for 6 weeks after the procedure. There will be scar around the umbilicus and at the lower abdominal region from the iliac crest over the pubic region to the other iliac crest. I usually perform this surgery as an outpatient and everyone is able to go home the same day. You will be seen the following day or 2 days later. You should be able to get back to 80% of your daily activities within one week. I encourage my patients to ambulate and resume light activities within a few days after surgery. You are encouraged to lean over when you are walking. We recommend that you do not do any heavy exercise or weight lift for four to six weeks. In general, you should not drive the first 48 hours after surgery. Also, if you are taking heavy narcotics, one should not be driving. Most of my clients are usually driving after 3 to 4 days. How long will it be until I can go back to work? This depends on the type of work. For people who are doing desk job and love to go back to work, return to modified work after 1 week is very common. For one who has a more physical intense job, one may take 6 to 8 weeks before one returns to modified work. My procedure is usually done under general anesthesia but spine and region with sedation are also possible. All my patients see the anesthesiologist before but usually on the day of surgery. For one who has special needs, I frequently arrange for consultation with anesthesiologist a few days before surgery. I review all patient medications on initial consultation, pre-operative appointment and day of surgery. In general, all medication that may cause bleeding or prolong bleeding time may need to be stopped or altered. One should not stop any medication without consulting with your family physician and the specialist that put you on these drugs. For my patients, general lab tests such as CBC, electrolytes, liver function, INR, PTT, cardiogram are fairly routine. Other tests may be ordered if one has a special medical condition. We recommend that you arrive on the time indicated on your pre-operative instruction sheet before your surgery. We will also try you on your mobile phone if the time of surgery has been changed. You will need someone to take you home after surgery as driving is not permitted. Arrange for personal items you might need during your hospital stay? Arrange for someone to take care of responsibilities at home and work? It is a good idea to have someone take care of responsibilities at home and at work until you are ready to take care of these. Arrange for someone to take you home from the hospital? Arrange for someone to stay with you the first night after surgery? It is important that someone stay with you on the first night after surgery. Call your doctor if you think of other questions? You are given a number to call and/or text me after surgery. I like to have close contact with our patients. If you have any concern before and after your surgery, please contact our office. Stop eating and/or drinking as advised by your doctor? Stop smoking several weeks before your surgery? I like having our clients stop smoking one week before surgery and two weeks after. If you cannot stop completely as least try to decrease the amount you smoke. Do not drink alcohol 24 hours before your surgery? It is a good idea to abstain from alcohol 24 hours before surgery. Make sure you have the doctor’s contact information? The postoperative sheet has my office and cell number so you can contact us as needed. Make sure you have directions to the hospital/office for visitors? You find my address on the web but it is printed on the postoperative sheet. It usually takes two to three hours. Our clients usually wake up within 10 minutes at the end of the procedure. You usually wake up within 10 minutes from the procedure, and your family can see you within an hour from the procedure. Do I need any medication to prevent blood clots? If you have significant risks of DVT or pulmonary embolus, you will need to take blood-thinning medication. I usually start antibiotics in the operating room, and you may take oral antibiotics for another 48 hours. You will have time to review the consent and I like to make sure you understand and have asked all the questions that you may have. This depends on your medical conditions and I will discuss this with you at your pre-operative consultation. How are we preventing the formation of blood clots? I use device such as support hose, venous pump during the procedure. For patients with increased risk of blood clot, pharmacological treatment may be used. Do I need to do breathing exercises? Breathing exercises after the procedure is improvement and my patients start in the recovery room after they are awake. You will be given intra-operative medication; local block and oral and parental pain medication to make sure you are comfortable. What’s the plan for today (labs, tests, procedures)? How does my incision look? Were any medications started or changed today? I usually send you home with oral pain medication and some antibiotics. What can my activity level be today? You should get out of bed and ambulate. It is a good idea to be leaning over when you are walking. Any mediation that can cause bleeding or alternate your medical condition need to be stopped or changed before surgery. I will be discussing with you in detail at pre-operative visit. How do I take care of my incision? There will be steristrips applied over the wound. There is usually minimal care needed post-surgery. Because there is no drain usually, my patient can shower the next day. You should use a blow drier to dry the steristrips after shower. Our patient can do light activities at home. It is improve to walk slowly and also may need to lean forward for the first week or so. I usually like to see my patients the first one to two days after surgery. When will my staples or sutures be removed? The sutures are usually removed about 10 days after surgery. How long will I need to wear any abdominal support equipment? For clients that do light office work, return to work within the first week is possible. For clients who work in more physical demanding jobs, you can take up to 6 weeks after surgery. You can usually drive 48 hours after surgery as long as you are not any narcotic medication. I suggest that you should avoid sexual activity for a few weeks.